Home Photography Software & Apps Luminar vs. Lightroom – Which One is Better? Post-production software is a vital component of your digital photography work. With various options of programs you can use to edit your images, you may be wondering which to choose to add to your workflow. Today, we will take in-depth, comparative look at the functions and capabilities of Luminar versus Adobe Lightroom. Luminar is a software editing program originally released in 2016 and developed by Skylum. It can be used on both Windows and MacOs operating systems. The program’s functions include editing capabilities for lighting and color, adding filters or presets and combining layers and masks. In the Luminar editing software, there is only the option to edit one image or a batch edit all at once. The program does not offer a true library or catalog for storage and organization as found in Adobe Lightroom. The interface of Luminar is relatively simple and easy to figure out. As you will see in the example below, the image being edited is in the center with the available presets listed below and a right-sided panel for adjustments, layers, and filters. At the top panel of the program, you will see a few different options including the capability for zoom, tools and a before and after button. The before and after button is located next to the eye button and allows you to see how your image has changed from the original after applying a preset or edits. In the example below, I added a preset and the changes made were visible on the right side of the image. Next to the before and after button, you will see a clock. This represents the “History” and shows you the steps or actions you have taken since you started the editing process. Next to the history button is an arrow that represents the ability to “undo” an edit you have made to the image. Additionally, on the top panel, you will find the Tools section which includes; Crop, Free Transform, Clone and Stamp and Erase. 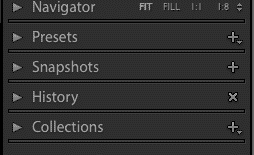 Navigating to the right-hand side panel, you will find the histogram, layers block, filters option, and workspace section. Below the layers section are the Filters. Filters are broken up into 5 categories, each with different editing techniques that can be applied to your image. The final editing capability offered in Luminar are Presets. You can choose to use of one the programs fixed Presets or create your own. 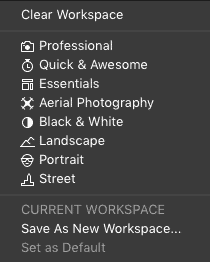 To create your own presets, you will need to make your edits to your image using the workspace section and then save by navigating to the bottom right-hand corner to click “Save Filters Preset.” Name your preset and press save to add it to the User Presets section. 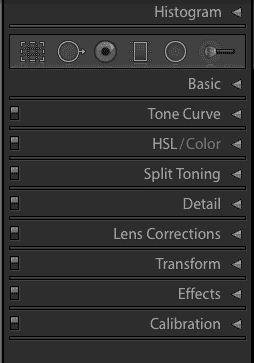 There are 6 types of preset categories that come with the Luminar editing software. Lightroom is an image editing software developed by Adobe. 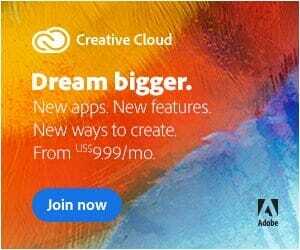 It is a part of the Creative Cloud package and has several different versions. For today’s comparison, we are focusing on Adobe Lightroom Classic CC. While Adobe is an editing software, the various modules built into the program are dedicated to developing other materials with your images such as creating a book, slideshow, print mockups for projects and exporting onto the web. For the sake of showing editing comparisons, we will focus on covering the capabilities of Adobe’s Develop Module. This panel is where you will see the filmstrip of images you have in your library to edit. The bottom panel allows you to select your image and make any kind of rating or color-coded markings. 2. Presets: Where you will find all of your Lightroom included presets as well as where you can add and save your own custom-made presets. The Right Panel is the area that you will be using the most in the develop module. 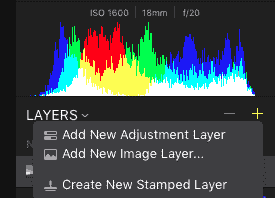 At the top of this panel, you will find your histogram followed by various tools and then your workspace of editing adjustments. The tool area as seen below contains the crop function, spot removal, red-eye correction, graduated filter, radial filter, and adjustment brush. Calibration: Adjusting the image’s overall tint as well as the hue and saturation of red, green and blue tones.  Note by Editor: Luminar 3 with Libraries is coming this December 18th – use coupon code “PHOTOWORKOUT” for $10 OFF. Now that we have covered the main functions of both Lightroom and Luminar, we can take a look at the most noticeable differences between the two editing programs. Which One is Better? Lightroom or Luminar? From comparing the two software based on their editing and develop features, it is evident that they both provide valuable tools and capabilities for a digital photographer’s post-production workflow. While I think that Luminar is a great program with an abundance of features, I will have to say that Adobe Lightroom is the overall better option. To me, Luminar had too many various functions and tools that felt a bit complicated for my editing process. With the filters, presets and workspaces all having their own predetermined settings, it seemed as if the program was made for someone who may not be highly proficient in digital editing. In this case, it is definitely a program where you could easily apply a catch-all filter or preset without difficulty. I also feel that image or batch editing without a proper library function isn’t very compatible for many professional photographers. The ability to catalog and organize your images in Lightroom is vital for keeping track of your latest work and projects. In all, Luminar is an affordable and well-equipped program for any photographer who is starting to learn the basics and function of digital post-production. The interface is minimalistic in design, easy to navigate and seamless to use. For more professional editing, I recommend using Lightroom from Adobe. The various modules to store and organize your images as well as create mockups for other projects – allow the program to be a one-stop shop for your editing needs. The tools are more geared toward photographers who have editing experience and understand how to use these function to their fullest extent. The ability for Lightroom to also be integrated with other Adobe products such as Photoshop give users a more accessible and streamlined editing process. 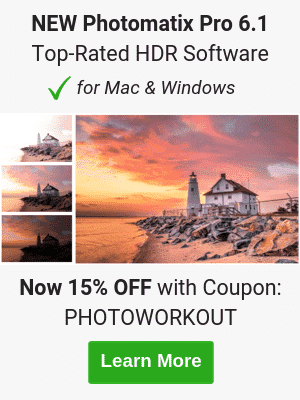 If you’re interested in checking out Luminar, you can download a free trial from them that is valid for 14 days. You can find the download here. Feel free to give Luminar a try and let us know what your thoughts are on this editing program versus Adobe’s Lightroom (for a free Lightroom trial click here). Share with us any feedback you may have in our comments below.